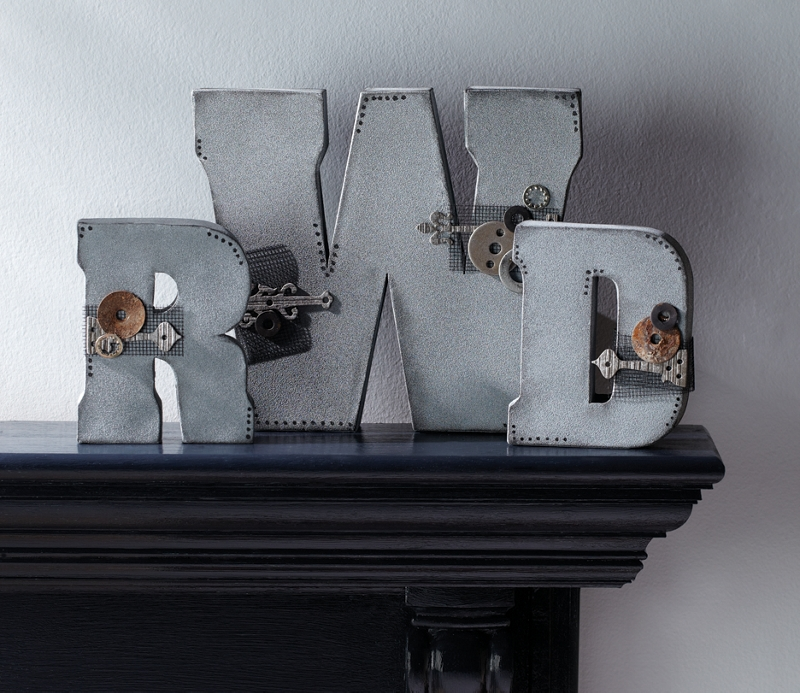 Tin block letters in two sizes: 7" and 10 1/2"
Monogram - Industrial Style was designed by Roxi Phillips. Spray monogram letters in Krylon® Fine Stone in Granite, according to manufacturer's instructions. Allow to dry completely. Using an ink pad, apply ink directly to edges and face of letters in random areas. Arrange and adhere screen pieces, flat washers and hinges to face of letters, wrapping some around the sides and spanning some open areas. With a Krylon® Paint Pen in Black highlight some parts of the letters with dots to represent screws or tacks.